The recent market volatility has been frightening for anyone hoping to achieve a secure retirement. But the prospect of a major slump in stock prices can be especially upsetting for people who have recently retired or are close to calling it a career. If you’re in that position, here’s how to gauge the risk you might face, and how to reduce the possibility you’ll have to completely revamp your retirement plans should the latest market turbulence lead to a full-fledged rout. Imagine this scenario. You’ve been saving regularly and investing sensibly throughout your career and now plan to pull the trigger on retirement within the next year or so. By that time, you figure your nest egg will be worth upwards of $1 million, large enough, assuming you follow the 4% rule, to generate about $40,000 in inflation-adjusted withdrawals. Combine that income with the Social Security benefits you’ve racked up, and you figure you should have enough money to relax and enjoy the retirement you’ve worked and planned for so diligently. Then, just as you’re preparing to exit your job, boom! The stock market starts to swoon. Before you know it, your nest egg’s value has declined 20%, and instead of starting out retirement with $1 million, your account balance has been trimmed to $800,000. Suddenly, clouds have appeared over a retirement outlook that seemed so sunny just a short time ago. And, indeed, there’s no getting around the fact that your retirement prospects have dimmed. For example, go to a tool like T. Rowe Price’s Retirement Income Calculator, plug in a $1 million portfolio and assume an initial 4%, or $40,000, withdrawal that will subsequently be adjusted by the inflation rate, and the calculator will estimate that there’s roughly an 80% chance that your nest egg will be able to sustain that level of withdrawals for at least 30 years, or, if you retire at 65, until you reach age 95, a reasonable planning assumption given today’s long lifespans. Assume you’ll draw that same $40,000 adjusted annually for inflation from a nest egg worth $800,000, however, and the outlook isn’t as rosy. You’ve essentially raised your withdrawal rate from 4% to 5% of your savings, and as a result the calculator lowers its estimate of your chances of sustaining that $40,000 in real income throughout retirement to about 55%, or a little better than a coin toss. Check Out: Where Should You Put Your Money If You Think The Market Is Going To Crash? It goes without saying (but I’ll say it anyway) that the probabilities I’ve cited here are estimates, not guarantees. No retirement tool or software package, regardless of how sophisticated, can predict the future. That said, it’s clear that a significant drop in stock prices on the eve of or in the early stages of retirement has the potential to put a serious crimp in your retirement plans. Which is why it’s important that you come up with a way to deal with the possible fallout of such a market setback before it actually occurs. So what, as a practical matter, should you do? Your first step is to review how much of your nest egg is invested in stocks, as that will largely determine how much your nest egg’s value will drop if the market slumps. Basically, you want to avoid taking a huge hit to the value of your savings, since the combination of investment losses and portfolio withdrawals can dramatically shorten the longevity of your nest egg, especially if that combo occurs just before or soon after you’ve retired. There’s no single stocks-bonds mix that’s ideal for everyone. As a rule, you want to invest enough in stocks to maintain your nest egg’s purchasing power over the long term, but not so much that you’ll incur stomach-wrenching losses and end up selling in a panic during a market meltdown. For many retirees a stock stake in the range of 40% to 60% in the initial stage of retirement makes sense, although what’s right for you will depend on such factors as your risk tolerance, the size of your nest egg, how much income you need to draw from it and what other resources (a pension, cash value life insurance, whatever) you have to fall back on. 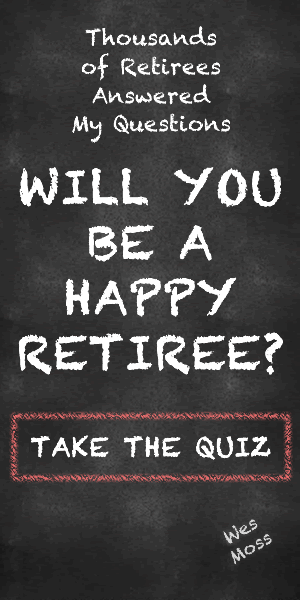 Check Out: How Would Your Retirement Prospects Stand Up To A Market Meltdown? To the extent possible, you’ll want to identify discretionary expenditures (travel, entertainment, dining out, etc.) you might reduce or eliminate rather than essential ones, which probably offer less leeway for cutting back. But if paring non-essential spending doesn’t give you enough wiggle room, you can look into other possibilities for reducing outlays, such as downsizing or moving to an area with lower living costs. You should also consider whether there are ways you might generate some extra income to pick up the slack of smaller withdrawals, such as taking out a reverse mortgage or picking up part-time work. And while postponing retirement entirely may be a more extreme solution than you’d prefer, working longer to give your nest egg a chance to recoup its losses can be an effective move that’s worthing investigating, assuming that staying on the job is an option. Finally, while it’s important to be aware of—and prepare in advance for—the impact a market downturn might have on your retirement prospects, you should also keep in mind that even a significant market setback doesn’t necessarily doom you to a post-career life of penury. Just as markets slump, they also recover, and as stock prices rebound, so too can your prospects for a secure retirement. For example, someone who retired on the eve of the financial crisis with a nest egg invested 60% in stocks and 40% in bonds would have seen the value of his savings fall by about 20% and the chances of his nest egg lasting 30 years decline to between 50% and 60%, just as in the scenario I outlined above. But had that person withdrawn 4% of savings, increased that initial draw by 2% annually to maintain purchasing power and rebalanced the portfolio back to 60% stocks-40% bonds at the end of each year, the sharp rebound in stock prices would have restored the chances of his savings lasting to age 95 to the original 80% or so within a few years. Indeed, the market’s performance has been so strong that this hypothetical retiree could even consider boosting withdrawals. Of course, there’s no assurance that the next market setback will mirror the last one. It could be less severe, but then again stock prices could also drop further and stay depressed longer. Nor is it a given that stock prices will recover as strongly as they did in after the financial crisis. So you don’t want to bet your retirement security on the assumption that in the wake of the next the market downturn, whenever it may occur, stock prices will automatically come roaring back. Clearly, you can neither predict nor control what the market will do as you near or enter retirement. But by taking reasonable steps to mitigate the effect a market downturn and preparing options ahead of time to compensate for a decline in the value of your nest egg, you should be able to improve your chances of proceeding with your retirement plans with as little disruption as possible.